Check out our Best VPN for Torrenting guide updated for 2019. Torrenting is often thought of as a dirty word, but aside from the wealth of copyright material available on torrents, there are also legitimate uses too. Regardless of what you torrent for it’s important to use a VPN service to protect your privacy. But which is the Best VPN for Torrenting in 2018? It seems like an almost impossible question to answer. Unless you’ve got very deep pockets you won’t want to sign up to countless providers to find the best because not only is it costly but it’s also time consuming. To save you both time and money we’ve done the hard work for you and we’ve tested a whole range of popular VPN services to find out which is the best VPN for torrenting. All that’s left for you to do is choose one and enjoy torrenting safely and privately. If you’re looking for a VPN provider for torrenting then IPVanish should be where you start. They’re our Number 1 recommended VPN provider for torrenting. The most important feature of their service is they store absolutely no logs of what you do while connected to their service. This includes both activity logs and connection logs. This means your torrenting habits remain private. They also clearly state they allow “Anonymous torrenting” and “Unlimited P2P traffic”. It’s possible your ISP will slow your internet speed if they discover you’re using torrents but when using IPVanish they won’t know what you’re doing so you can get the full speed of your connection. The IPVanish software also comes with a built in kill switch which is important if you like to torrenting because it will protect your privacy should the connection be interrupted or drop unexpectedly. ExpressVPN is one of the best VPN options for torrenting. We really like the fact they’re registered off-shore in the British Virgin Islands which puts them out of the scope of regulation of the UK, USA and other countries. Their standout features is VPN access in more than 94 countries. Often VPN providers only offer servers in select locations but ExpressVPN is a truly global VPN service so no matter where you like to torrent from they have you covered. Apps are available for Android and iOS as well as software for Windows and Mac. There’s also a Linux client so no matter which device you like to torrent on you’ll be secure. There’s also a massive 30-day money back guarantee available on the service so it gives you an entire month to try it out risk-free. If you find it’s not suitable for your torrenting needs then you can get a full refund. If you like to torrent and you want dedicated support for P2P then NordVPN will be right up your street. They’re one of few VPN services that have servers dedicated for P2P. This means you can ensure the country or server you’re torrenting through is “torrent-friendly”. Many VPN providers lose servers because users torrent on them, NordVPN have a dedicated range of servers where P2P use is allowable meaning you can torrent without issue. We really like the 30-day money back guarantee on the service which allows you to see it in action over a good period of time to decide if it’s suitable for you. 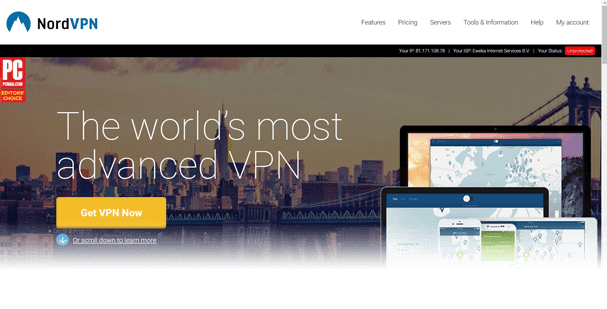 If you’re happy to sign up for a long time period then you can also get one of the cheapest VPN services available, however, it’s worth remembering you’ll be locked into NordVPN to get such a cheap deal. VPN.ac is the best choice for torrenting if you’re an expert and you really care about the encryption and privacy of your VPN service. Although they’re a small service they’ve gone the extra distance to ensure that their encryption levels and security are at the top of the tree. The service is open to beginners and their range of apps is easy enough to use for all skill levels. However, the service does have some advanced features that will be more suitable for you if you know what you’re doing. We found VPN.ac to offer some of the best speeds when torrenting and their service is definitely undersold which means most servers are underused giving you an obvious speed advantage. They also have one of the highest concurrent connection limits in the VPN industry allowing you to use one package on up to 6 devices at the same time – that’s a whole lot of torrenting! CyberGhost VPN is another good choice for torrenting. Their desktop apps even have a dedicated mode to help you “Torrent Anonymously”. We recommend CyberGhost VPN if you’re a beginner due to their service being one of the most helpful pointing you in the right direction. All you need to do is click the Torrent Anonymously option and the VPN software gets to work connecting you to the most appropriate server for your location that’s suitable for torrenting. There are servers in 52 countries around the world which gives you plenty of options for connection. There’s also a massive 30-day money back guarantee which lets you test the service for torrenting and other purposes without risk. If all that wasn’t enough, you can use the service on up to 5 devices at the same time. Choosing a VPN for any purpose can be a massive headache. After all, there are more than 1000 commercial VPN providers in existence. But choosing one specifically for Torrenting can throw up its own set of challenges. While many providers do allow torrenting on their service there are others who are dead against it and it can result in your account being closed without refund. Things change quickly in the VPN market so it’s important to consult an updated guide such as this one for 2018 as what was acceptable last year or before might not still be acceptable now. All five providers recommended above are suitable for torrenting, all you really have to do is choose one. Yes, definitely. One of the main aspects of a VPN service is to encrypt your data and add a layer of protection between you and what you do online. By torrenting through a VPN server anyone attempting to snoop on what you’re doing will only see the IP Address of the VPN server and not be able to see your personal IP Address. This adds a layer of protection against your torrenting habits because it’s impossible to link you to your online activity. Yes, all of the five recommended providers above offer software for both Windows and Mac OS computers. It’s probably the easiest way to Torrent securely. Once you’ve signed up to one of the recommended providers above you can simply download their computer software. Connect to a VPN server of your choice or as recommended by the VPN software and anything you download or upload to torrent networks is protected from being linked to yourself. A VPN service is like putting an extra step between yourself and the torrent network. There will be some speed loss incurred, however, when using a good VPN service such as those recommended above the speed loss is most likely to be minimal. In other cases a VPN may actually speed up your torrent downloads. 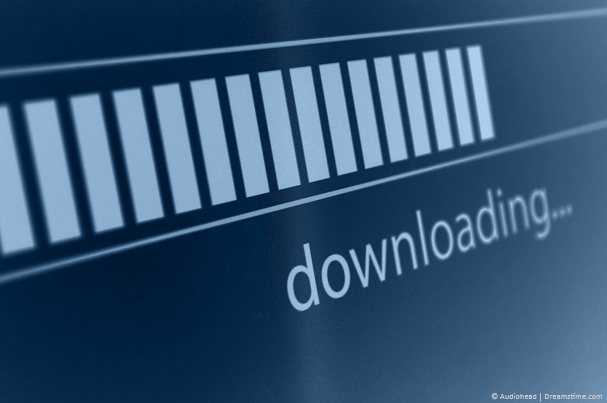 Many ISPs lower the connection speeds of users downloading from torrents in peak hours. Peak hours can in many cases be the entire daytime and evening of every day of the week. A VPN allows you to disguise what you’re doing online so it’s impossible for your ISP to know you’re using Torrents. The result is that they’re unable to slow your speeds meaning you get near full speed downloads. Torrenting has been around for a long time now and is likely to be around well into the future. It’s simply just a great protocol for distributing large files quickly and efficiently and although there are alternatives on the scene it’s still one of the best protocols for its purpose. For that reason subscribing to a VPN service for a lengthy period of time is the best bet. VPN service can be costly if you sign up to pay on a monthly basis. You can save up to 60% on some providers simply by paying for a year up front. You’re likely to be torrenting for the next 12 months at a minimum so why not make a saving at the same time? It’s for this reason that we recommend signing up for a 1-year package from the VPN service you choose. If you love torrenting but you’re also concerned about your online privacy then a VPN is the way forward. A VPN will protect what you upload and download. VPN services are entirely legal and are a legitimate way of protecting your online privacy. We understand that most of you don’t have time to be searching around and possibly wasting money on a VPN service that is either slow or torrent unfriendly. For that reason, we put together this guide. We did the hard work so you don’t have to. All that’s left for you to do is select one of the five recommended providers above. We suggest IPVanish but it really doesn’t matter which you choose as they’re a collection of the Best VPN services for Torrenting in 2018.